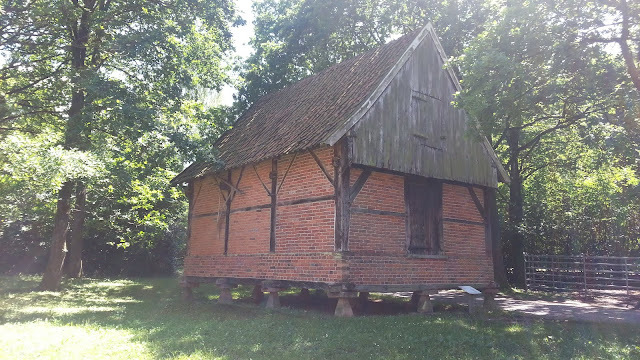 I got to check out this barn in the timber frame house museum in Detmold. It is seemingly hovering above the ground on pointy rocks. Great way to keep it dry from underneath but a strange view, nonetheless.